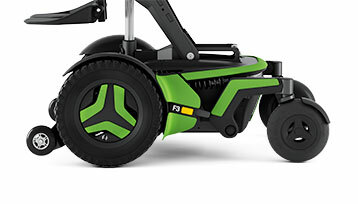 The F3 Corpus offers the smallest footprint of the F-series front wheel drive power wheelchairs. 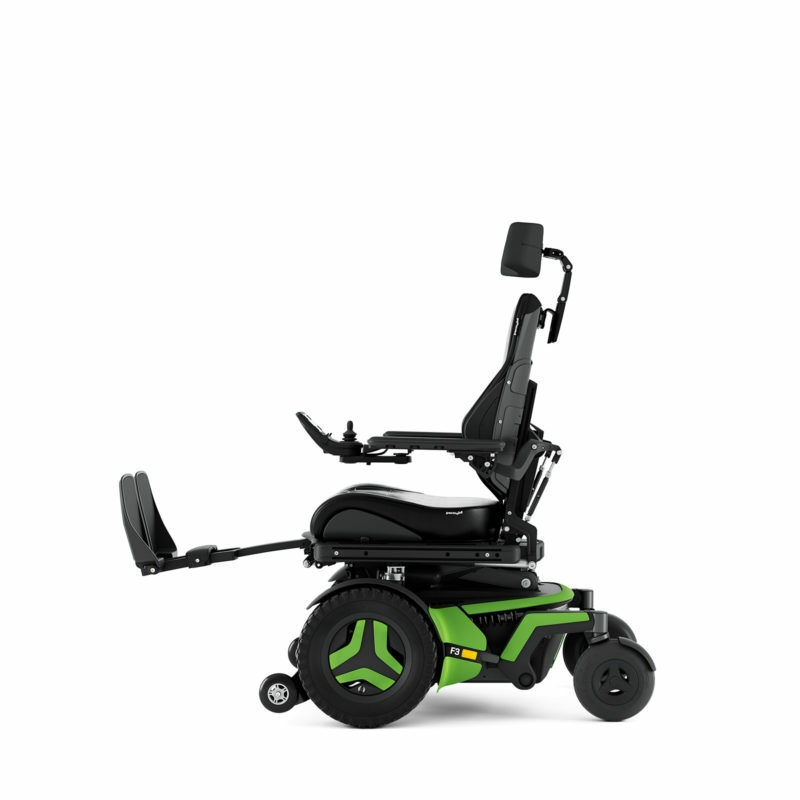 Its compact size and agility allows users to easily maneuver in and out of tight spaces. 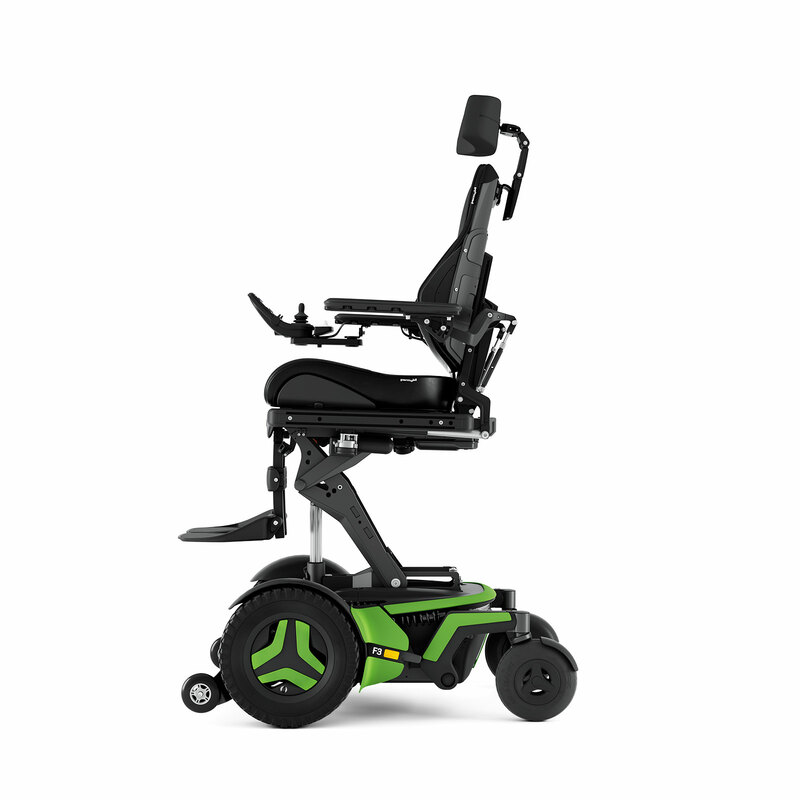 The optimized battery weight distribution, lower center of mass and fully adjustable ComfortRide suspension improve stability while traversing inclines or declines. 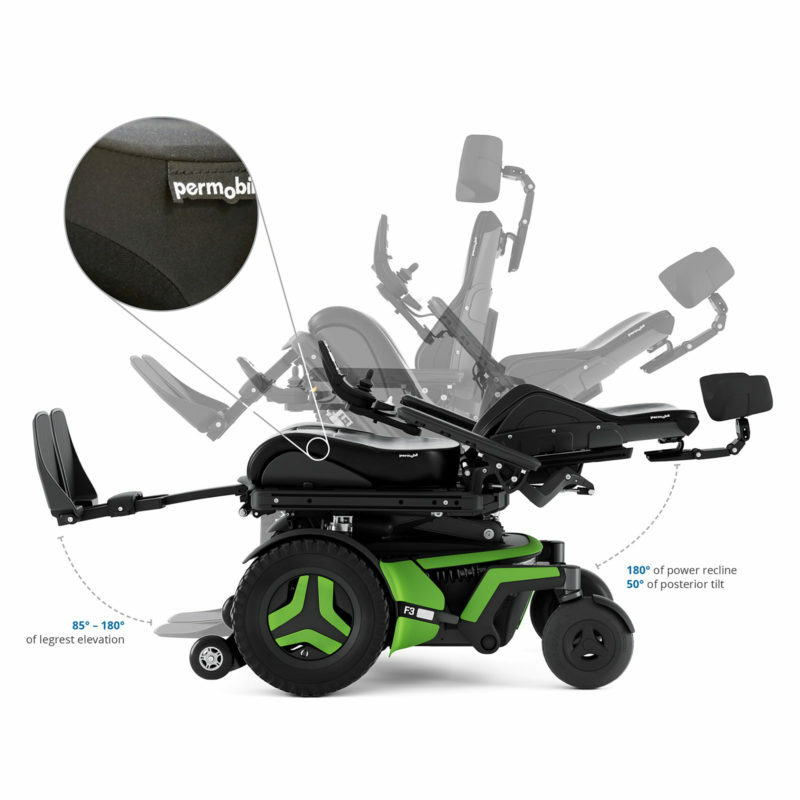 Experience the enhanced functionality of the F3 by combining outstanding chassis performance with Permobil’s industry leading Corpus Seating System offering 12” of ActiveHeight and up to 30º of ActiveReach forward tilt technology. 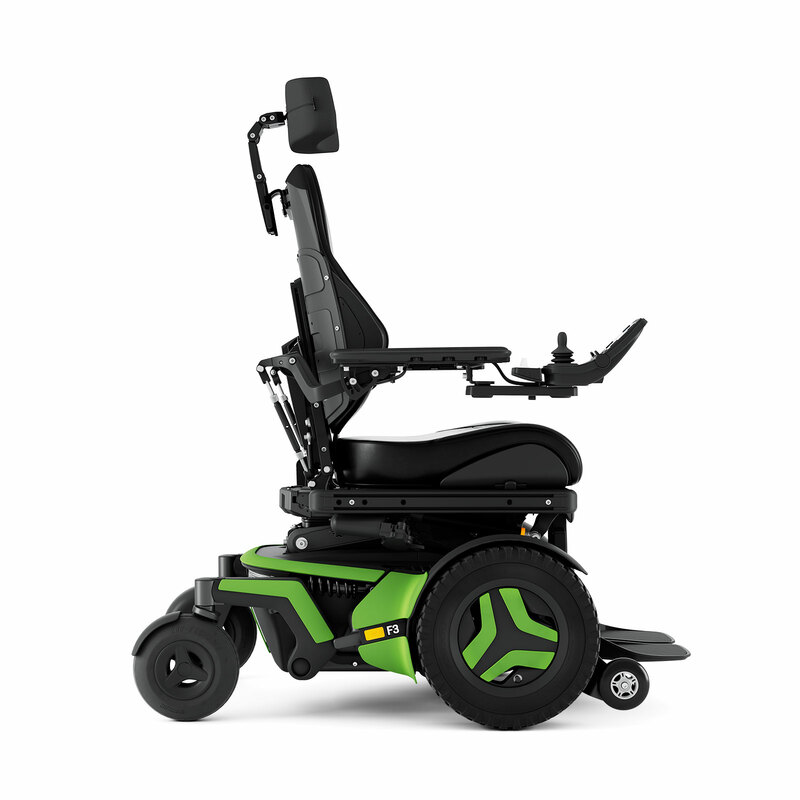 With up to 12” of vertical seat adjustment and 30° of ActiveReach forward tilt capability, the F-Series empowers you to reach for more and go further faster with new elevated drive speeds of up to 3.2mph. 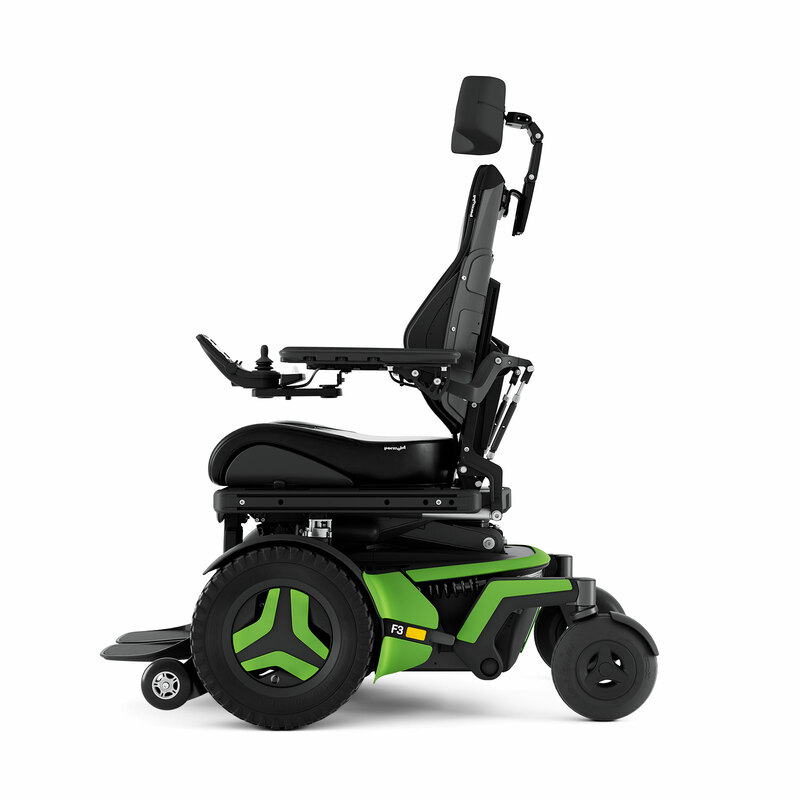 Conquer your world with ComfortRide fully independent, adjustable suspension. 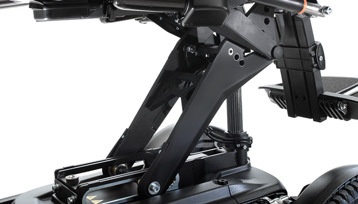 Enjoy superior vibration reduction, ride comfort and drive performance for the widest variety of driving scenarios. 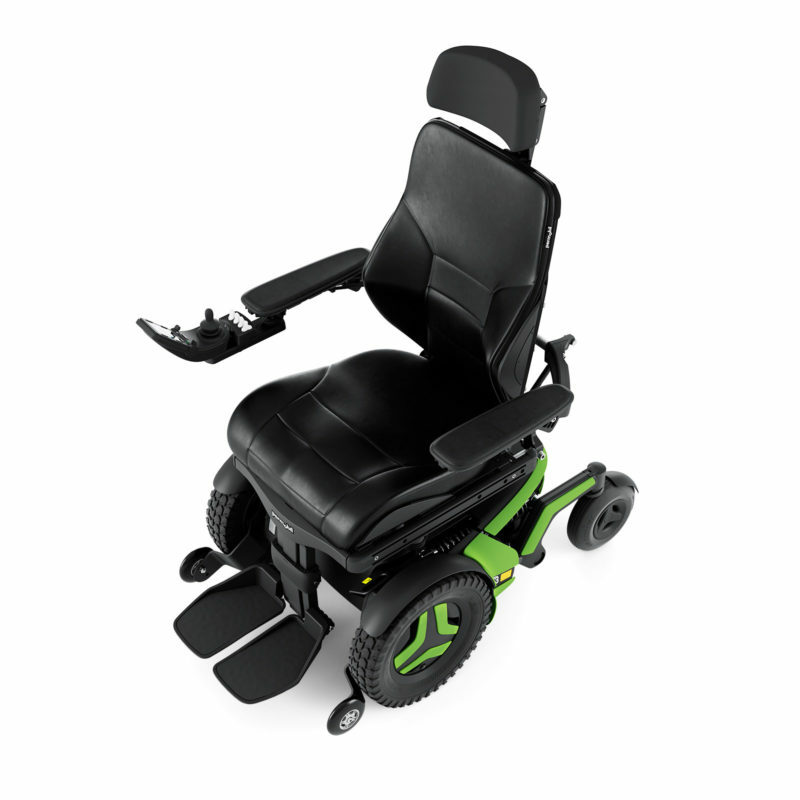 Corpus®, the world’s leading ergonomic seating system, just got better. 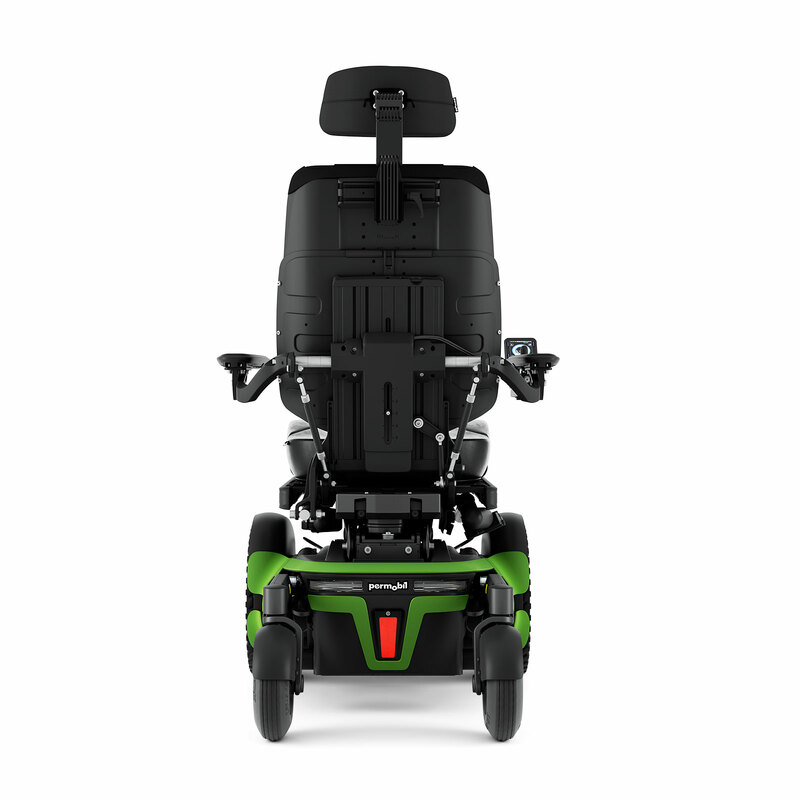 Biomechanically optimized power positioning has been enhanced with improved Ergo seat and backrest cushions. New high power LED head lights are twice as bright, making it easier to see and be seen. With a sleek new design, expanded color/hydrographic options and powerful new LED lighting you should be prepared to turn a few heads in your new F-Series. We live in a world where connection is everything. 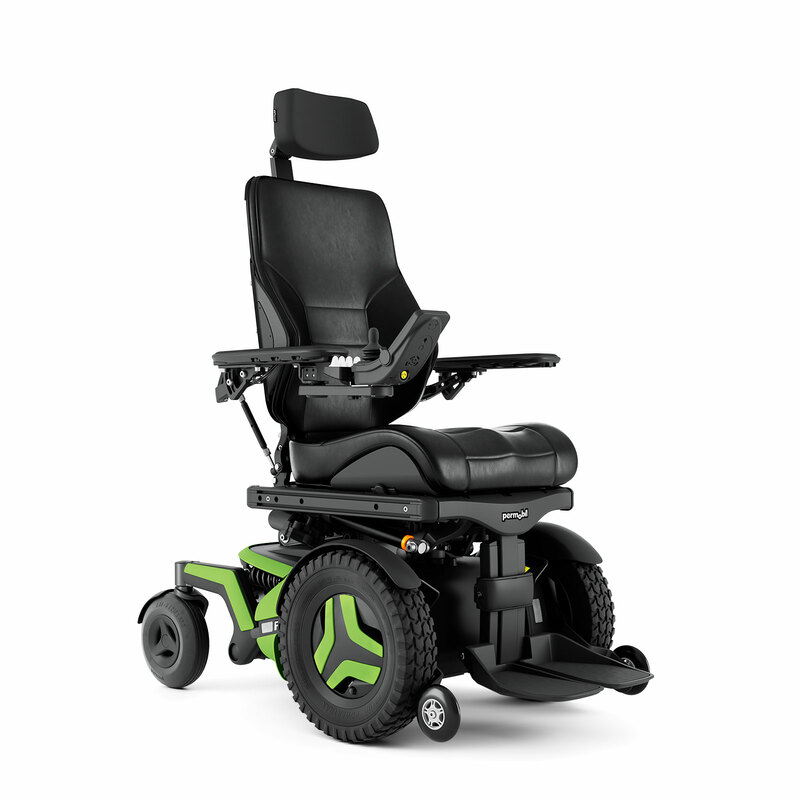 Your chair should be no exception and now features the same level of technology that you’ve come to expect in your daily life. 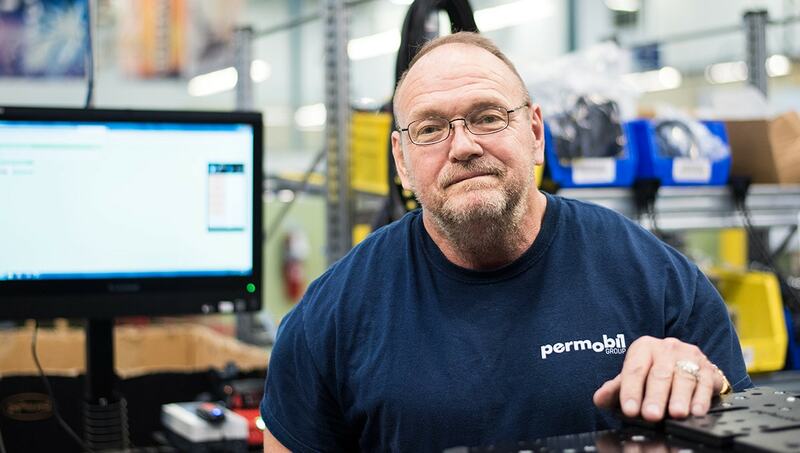 Connecting users and service technicians through a single intuitive platform improves communication and helps you be better prepared for the unexpected. 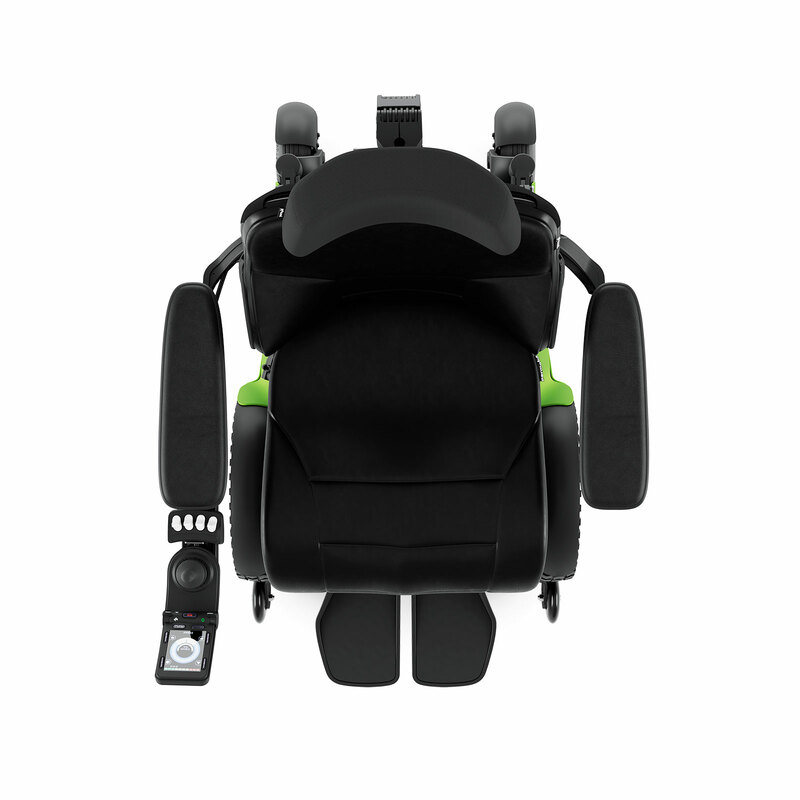 Corpus®, the world’s leading ergonomic seating system, just got better. 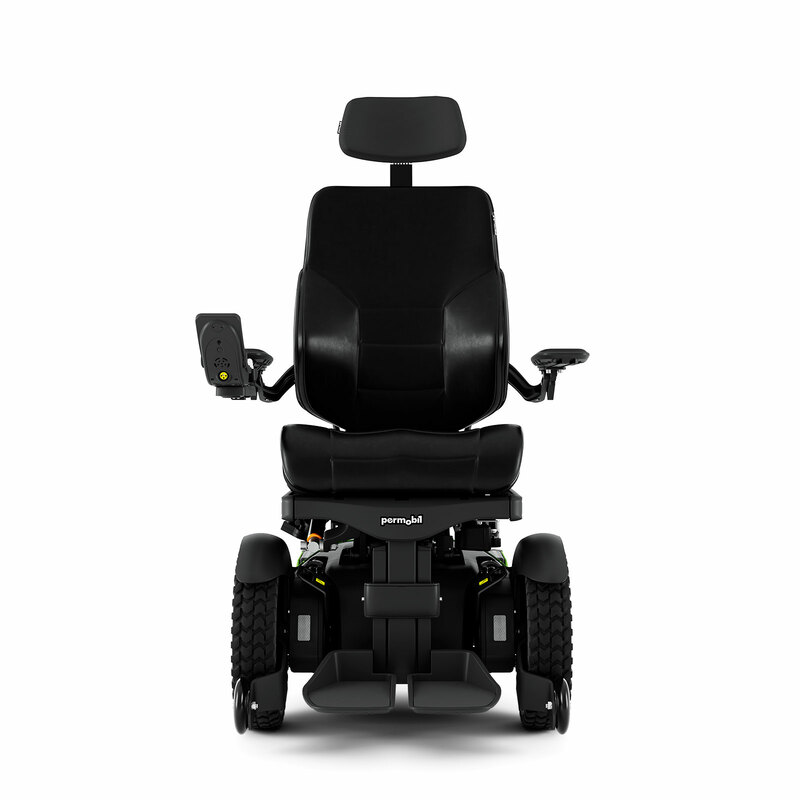 Biomechanically optimized power positioning has been enhanced with improved Ergo seat and backrest cushions. 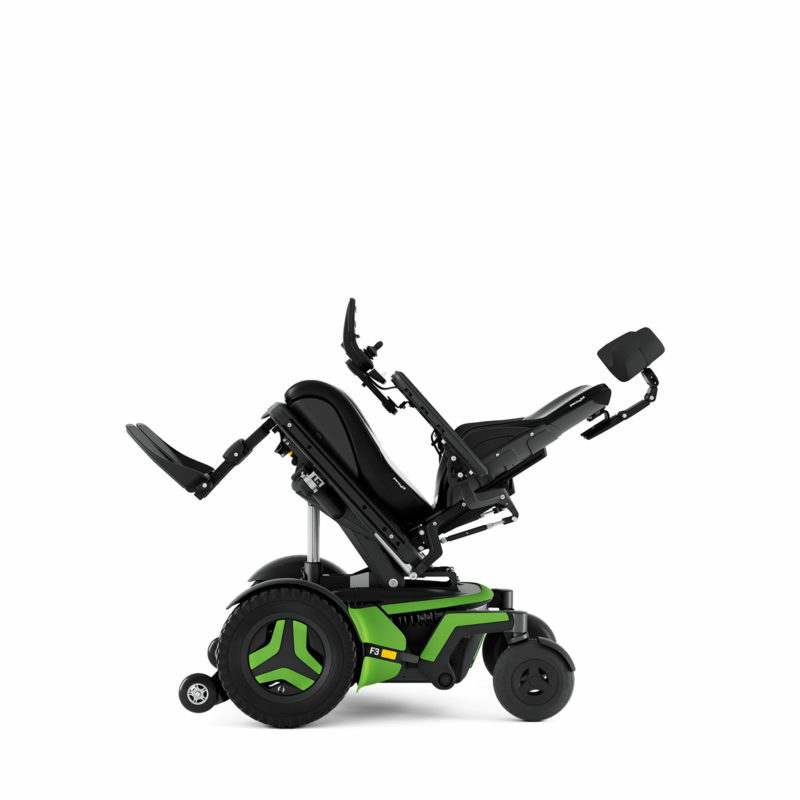 Our new dual density backrest foam promotes greater surface area contact while the redesigned Ergo seat pelvic well insert can help pressure redistribution and reduce peak pressures. Stretch-Air covers offer a breathable, moisture resistant fabric material to enhance comfort and help protect underlying foam. 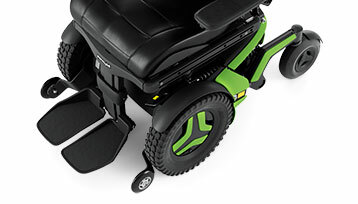 With a variety of trim colors and an aggressive tread upgrade option, your new ride is sure to turn heads. Seat to Floor Height 17.5", 18.5", 19.5"
Armrest Pad Lengths 10", 13", 16" & 18"
1 This represents the theoretical driving range when testing the wheelchair according to RESNA WC-2, Section 4. 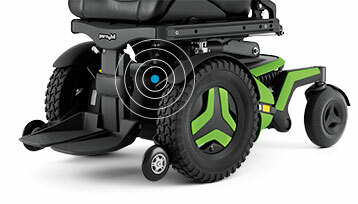 This test is performed under ideal conditions and actual range will vary depending on battery and driving conditions. 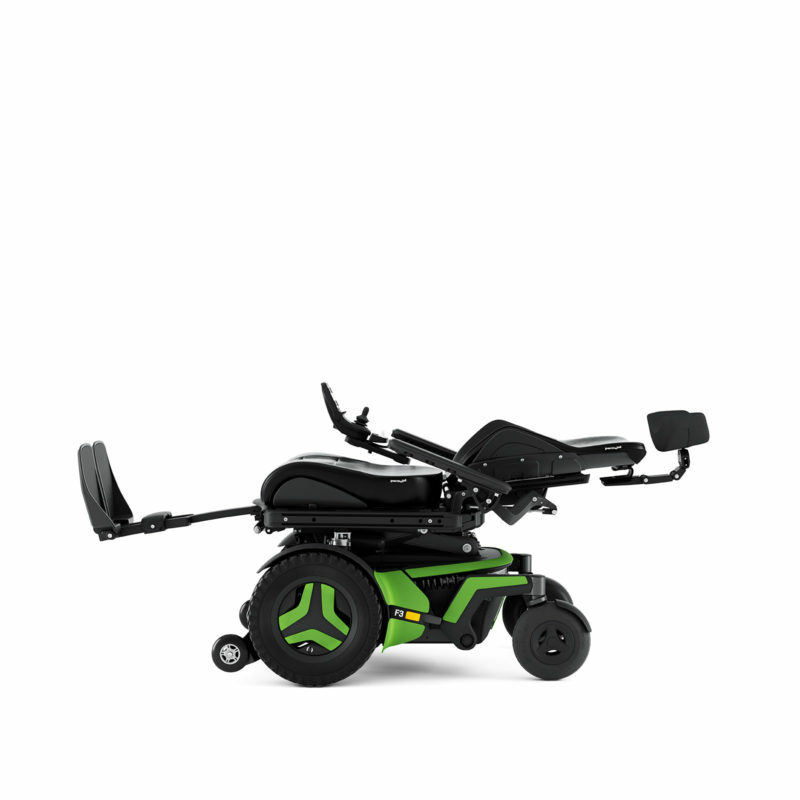 These specifications are dependent on the configuration of the wheelchair. 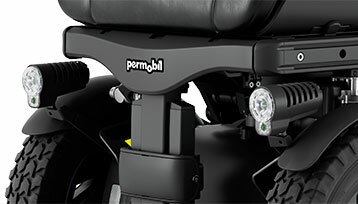 For further information not mentioned in this sheet, please refer to the user manual which can be downloaded from the Permobil web site, or contact your local Permobil office. 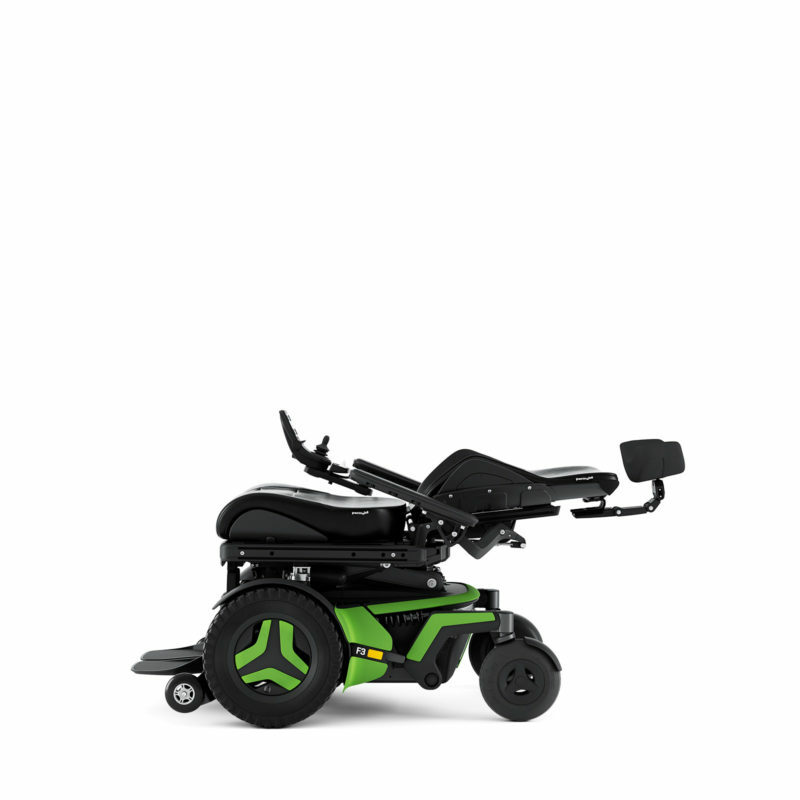 *The range may be reduced if the wheelchair is used frequently on slopes, rough ground or to climb curbs often.